IFMCA member Clark Douglas has been announced as one of the three hosts of a brand new podcast about the life and works of the great composer Jerry Goldsmith. Like Jerry Goldsmith? Like movies? Like podcasts? If so, we hope you’ll check out The Goldsmith Odyssey, a brand-new podcast devoted to highlighting the work of one of the greatest film composers of all time. Over the course of this series, your hosts Clark Douglas, Jens Dietrich, and Yavar Moradi will be taking a chronological journey through the filmography of legendary composer Jerry Goldsmith: all the way from the 1957 western Black Patch to the 2003 comedy Looney Tunes: Back in Action. Each episode will offer a thoughtful exploration of both the film itself and the music Goldsmith wrote for it. The diversity of Goldsmith’s career ensures that nearly every film genre will be covered: science-fiction, romance, thrillers, comedies, dramas, fantasies, westerns, horror and all sorts of other projects. In addition to Goldsmith’s vast filmography, select episodes of various television series Goldsmith worked on over the years will be explored. The introductory “Episode Zero” installment of the podcast features an introduction to the show, thoughts on why Goldsmith was chosen as a subject and an outline of what Jens, Yavar and Clark hope to accomplish over the course of the series. Additionally, this episode offers an examination of some of Goldsmith’s early live radio and television projects: the poetry-themed radio program “1,489 Words” (part of the radio anthology series The CBS Radio Workshop), Gore Vidal’s television adaptation of “Dr. Jekyll and Mr. Hyde” (part of the anthology TV series Climax!) and the first three episodes of the western radio drama “Frontier Gentleman”. The show aims to offer accessible, engaging conversation and analysis that will interest both casual movie fans and lifelong Goldsmith enthusiasts. New episodes will premiere every two weeks. 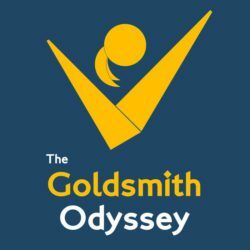 To listen to the first episode and subscribe via your podcast service of choice, visit www.goldsmithodyssey.com. We hope you’ll enjoy the journey!